Facebook Ads is a popular tactic for businesses nowadays, and a majority of them are doing pretty well on the platform. The Humane Society achieve a less than $1 cost per new lead with click-to-Messenger ads. Cisco Networking Academy acquired more than 75,000 sign-ups using Facebook link ads. MailChimp got a 26-point lift in association with marketing automation running Facebook and Instagram video ads. The proof is there. Facebook Advertising can work. However, when you're first starting out, it can seem impossible to get any results from it. Despite spending time, budget, and resources on the platform, you're still not getting clicks, or generating leads. Is it beginners bad luck? Not necessarily. If you're new to Facebook Ads and not sure why it's not working for you, it's likely that you're not following the right process. To start, you need to go into Facebook Advertising with your customer in mind. Are they even on Facebook? Do they use the platform regularly? If not, Facebook may not be the right play. In that case, you're trying to reach an audience that isn't there. However, seeing that Facebook has over 1 billion daily active users, if you do not see results, you may be approaching Facebook Advertising in the wrong way. To be successful with Facebook Advertising, you need to be strategic about a few key areas, including your budget, how you conduct targeting, the offers you promote, and the ad formats you use. Here is how to master each. You're probably setting a monthly Facebook Ad budget and taking it from there, right? On Facebook, this is the wrong approach. To create a realistic budget that brings you the results you need, Social Media Examiner recommends working backward. To translate it simply: before setting an exact budget for your overall spend on Facebook, set a goal for each of your ad campaigns. Using one of these goals, you can calculate a budget. For even better results, I'd recommend starting with the HubSpot SMART goal approach. Make those goals as specific as possible, and align your objectives with your overall inbound marketing or website goals. From there, you can choose between setting a daily budget and a lifetime budget. 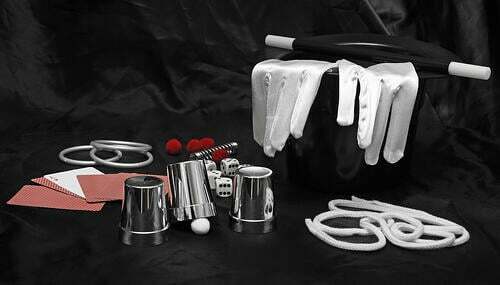 An overall budget is a fixed number, such as $1000 a month. If you have an overall budget, Facebook will handle the bid strategy. With a lifetime budget, you set a cost goal, and Facebook will spend as much as it needs to match it. From there, you can manage budget changes and set ad delivery frequency. The average Facebook user sees an ad every one or two minutes. If you don't want your ad to get lost in the noise, you need to target the customers that will find value in your offer. You can do this by targeting specifically or targeting broadly. To target specifically, you use your existing customer contact information to create an audience. If you want new leads, you can build a lookalike audience. With a lookalike audience, Facebook will use a source audience to target individuals that match the qualities of existing customers and leads. To target existing customers, you create a custom audience. A custom audience is made up of an existing list of customers or contacts that you upload right to Facebook. Either way, this kind of targeting gives you peace of mind that you're reaching the exact type of customer you want to target. It's also more hands-off, as you don't need to mess with choosing demographics or characteristics too much. When you don't have a customer list you want to use or a list of quality customers, try a broader approach. You put more trust in Facebook with this approach, but you can utilize your existing research and data from marketing strategy documents, HubSpot Reports, or Google Analytics to select the right characteristics. You will use this information to create a new audience, choosing from various options such as age range, geographic location, interests, and more. Overall, successful targeting comes from creating ads and promotions that match the interests of your intended audience. Marketing guru Neil Patel swears by interest-based targeting, which uses the interests listed on Facebook profiles to deliver more relevant ads and offers. You've probably seen a lot of these before in your own News Feed. However, as you already know, the offers that appear in your feed need to be intriguing for you to engage. To create these types of offers, you want to avoid trying to target everyone. If you're targeting new leads and followers, you need to get their attention for the first time. You can use interesting top-of-the-funnel content such as the latest episode of your industry podcast or an educational toolkit. 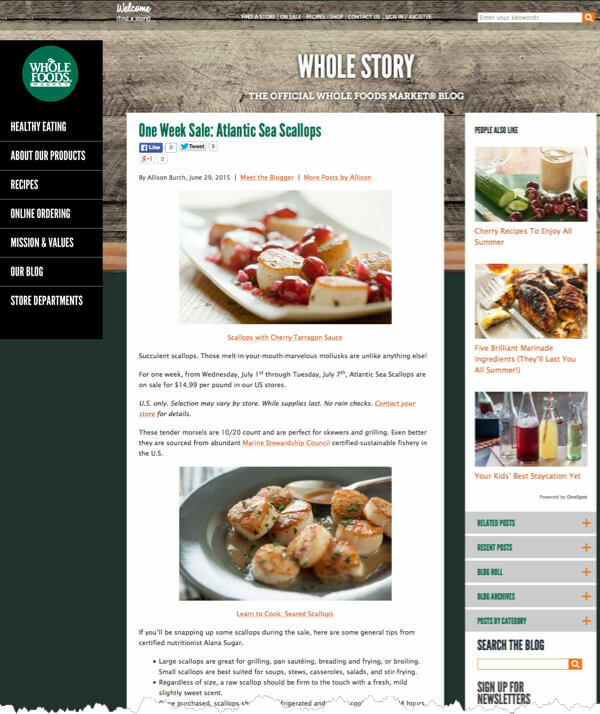 Digital Marketer provides a great example of TOFU content in this Whole Foods article that includes a recipe for their sea scallops. When you need to engage current leads, you need MOFU content that will demonstrate that you're a trustworthy source of information. The material could be an informative ebook, a case study, or a webinar. HubSpot has a great example of MOFU content in their library of webinars. The webinars offer a ton of marketing and sales guidance, such as how to use Facebook for marketing. The content is excellent for their current leads who want more information about improving their marketing campaigns. Your BOFU content will help leads see what it would be like to become a customer. It can include an on-demand webinar that describes how to use your product or service, or detailed how-tos, or a free trial. Unbounce has a few great examples of a free trial, such as Dropbox's 30-Day Free Trial of Dropbox for Business. The free trial encourages on-the-fence leads to sign-up and try Dropbox, with full access to the platform. Once you know the type of content you're using, you can choose which ad format you will use to promote it. Facebook offers various ad placements, and each has benefits, depending on what your overall objectives are. If you need to increase engagement, an in-stream video ad could do the trick. Try The World uses this 30-second video ad to generate interest in their monthly subscription box. The video pops up when the customer is scrolling through friend and family updates and provides a compelling clip about their "Paris" box. The clear call-to-action, "Sign Up" gives the user a definite next step, alongside a lucrative offer for a free month. Facebook reports that viewers finish watching 70% of these types of ads. The in-stream carousel ad can be perfect if you have a lot of resources to share with your customer. 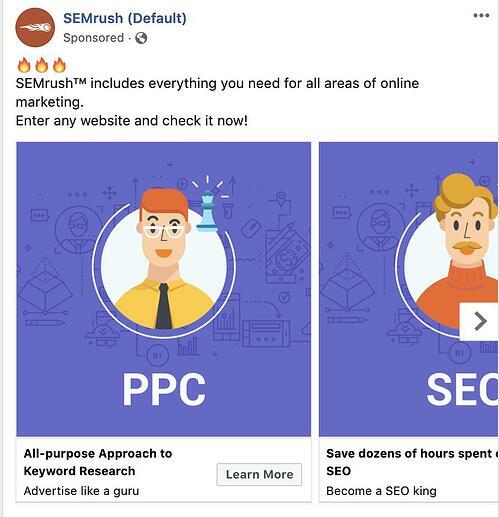 I love this Carousel Ad from SEMRush that came up on my Facebook feed. I'm a SEMRush user already, but this ad shows me all of the potential ways I'm not using SEMRush and provides resources to get started. With this approach, your existing customer can gain exposure to your other products and services. Carousel ads are also more affordable, with a 30-50% lower cost-per-conversion than single-image link ads. With enticing copy, this makes for an eye-catching ad that marketers can't help but click. 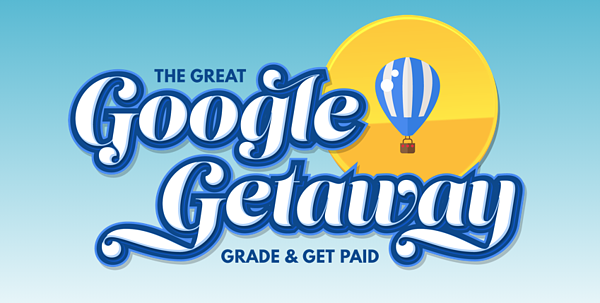 The ad goes right to a landing page with the same vibrant colors, font, and illustrations, along with more context about the giveaway. 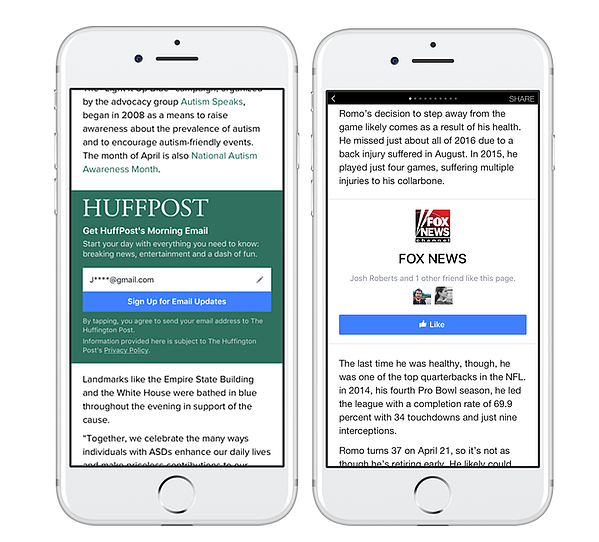 For more of a content play, there's Facebook's Instant Articles. Publishers mostly use the feature, but if your blog gets 10k-15k views a month, you're eligible to apply it. It's easy to start with, as all you need to do is to hook up your Wordpress blog via plug-in or RSS Feed and stream your recent posts. From there, you can customize your styling and submit articles for review. When the articles are approved, you can strategically place a call-to-action within your article to collect email addresses for a newsletter, invite the reader to like your Facebook page, generate free trial sign-ups, and more. 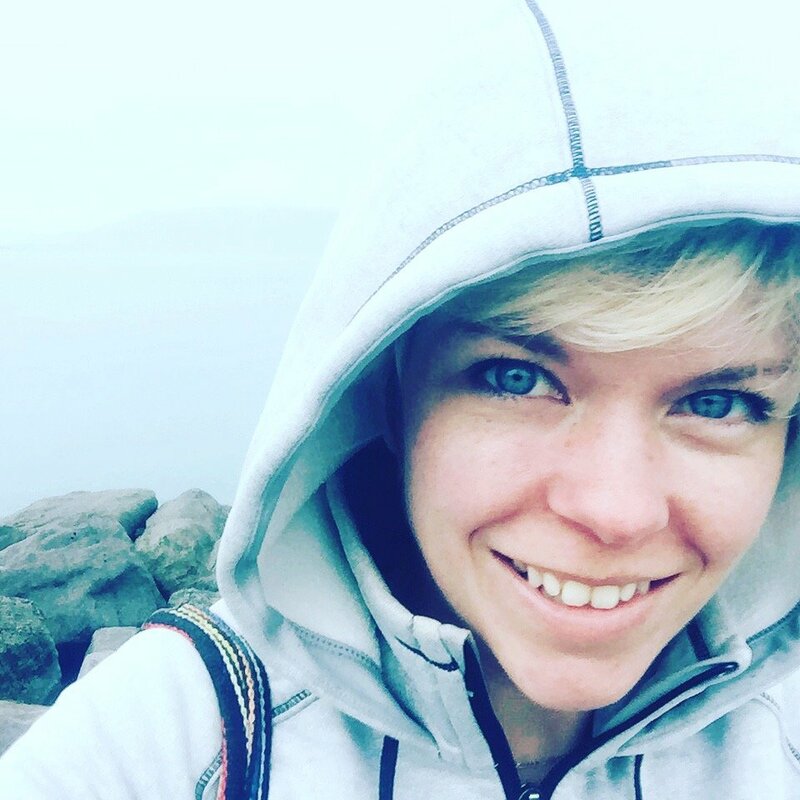 Is it worth publishing to Facebook if you already have a company blog? According to Facebook, you're more likely to get a click on an Instant Article over a regular link post by 20 percent to 50 percent. 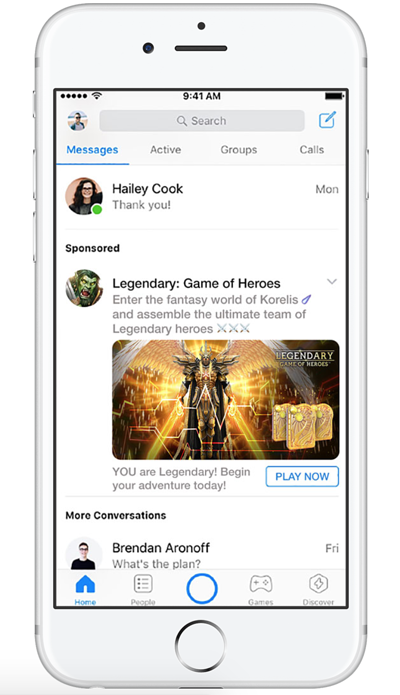 You can now run ads in Facebook Messenger App, providing another way to reach your target audience. 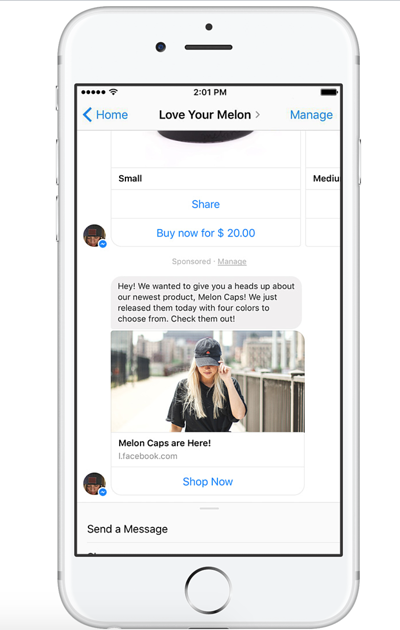 There are a few different types of Facebook Messenger ads, such as destination ads, sponsored messages, and home section ads. 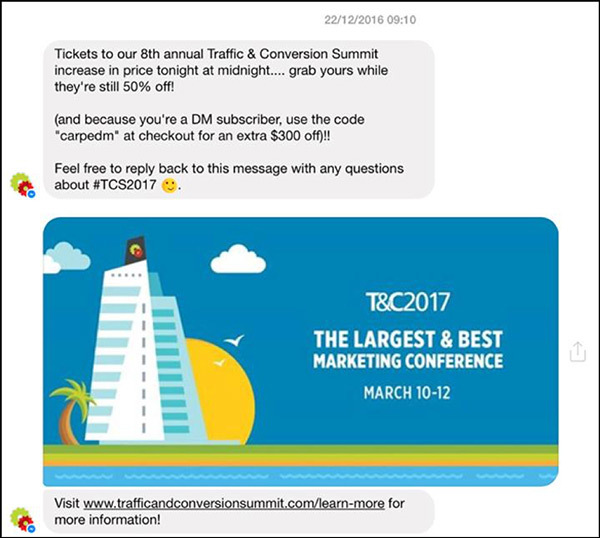 Sponsored messages let you send an ad directly to someone's inbox. Love Your Melon is a charitable hat brand that uses sponsored messages to send product updates to their customers. They get a 14X return on ad spend. The messenger home screen is one of the newest places to run a Facebook ad. The mobile game company N3TWORK uses these ads to increase their app downloads, with an invitation to play one of their games. They get around 36% higher app install rates using Facebook. Overall, messenger provides a lot of unique options to reach new leads and engage with existing ones. If you're starting with Facebook Ads, you want to see a return right away. The best chance for getting that return is creating highly-valuable ads that you tailor for your ideal customer. With Facebook Ads, you'll get what you put in, which means any lackluster or spur-of-the-moment ad campaigns may not work. Similar to any other marketing or sales strategy, you need to approach each component of Facebook Advertising with a plan. However, a great way to bolster your Facebook Advertising strategy is to align it with your inbound marketing initiatives. If you can identify how Facebook Ads can support your customer throughout their purchasing journey, you can find opportunities to reach them at the most opportune times, with the best possible message. To learn more about putting together a better inbound marketing strategy, check out our free eBook, Conquering the Inbound Marketing Mountain.